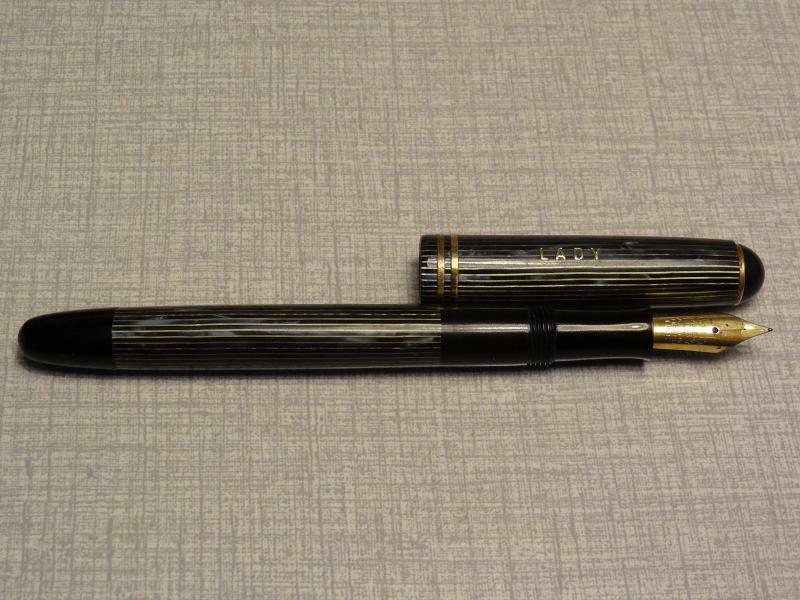 "lady fountain pen, Czechoslovakia around 1935, excellent huntco made in usa alloy tipped fine, length 11.8cm, diameter in center 1.1cm, diameter on top 1.2cm, functional pump"
Does anyone knows this brand, this pen? There is "LADY" engraved in the cap, nothing on the clip. 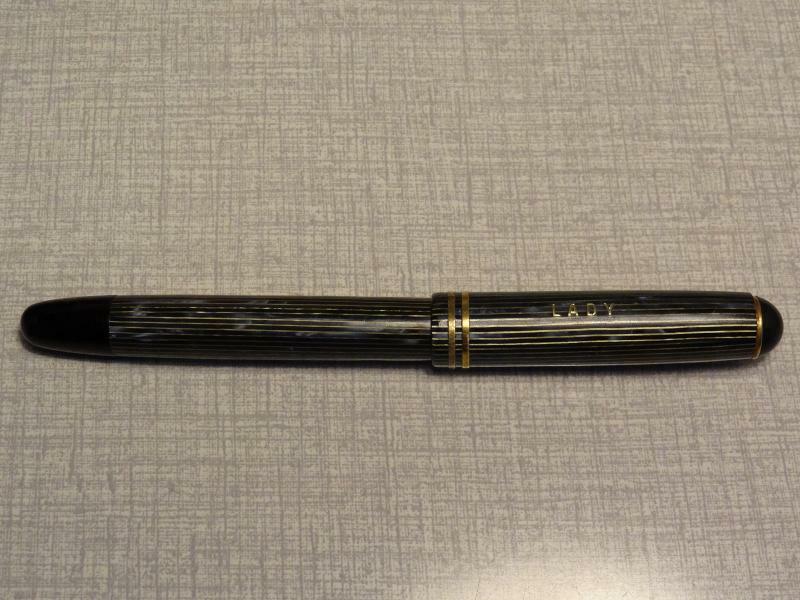 on the nib is: "HUNTCO" "MADE IN USA" "ALLOY TIPPED FINE"
I am also a bit worried about the piston. 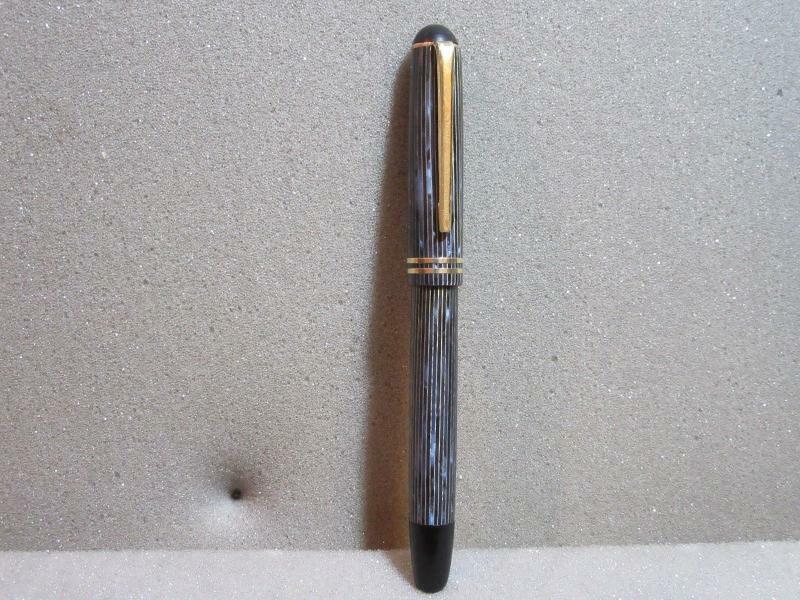 The pen was empty when I got it. When cleaning it I noticed that it didn't take a lot of water, it didn't held the water either. So no vacuum... After flushing it a few times it did hold more water and kept the water in the pen. Some dirt that came out was ink, (it dissolved eventually), but one tiny bit was floating, so I guess that was cork . After a while filled whith water the pen seemed to hold all the water. So I filled it with ink, and it writes well! Does anyone knows when it is necessary to replace the cork? What if more pieces of cork let go? 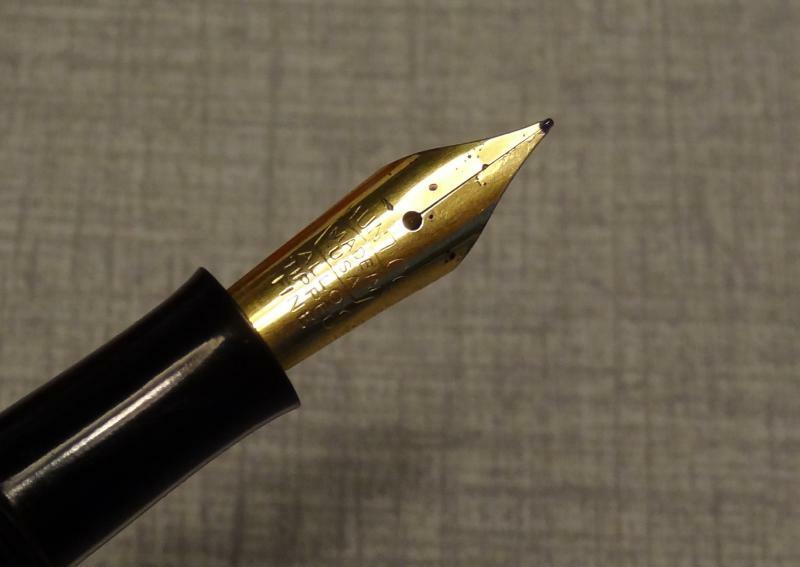 How Many Piston Filler Pens Are There ? Onoto Seal Screw Information, Anyone?